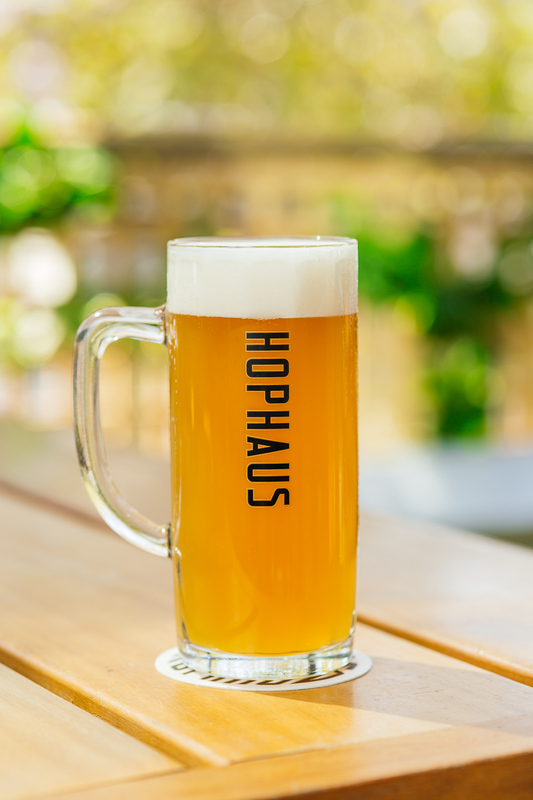 Hophaus Euro Bar Bistro loves and respects its bier—it is considered both an art and a science (and of course a way of life). 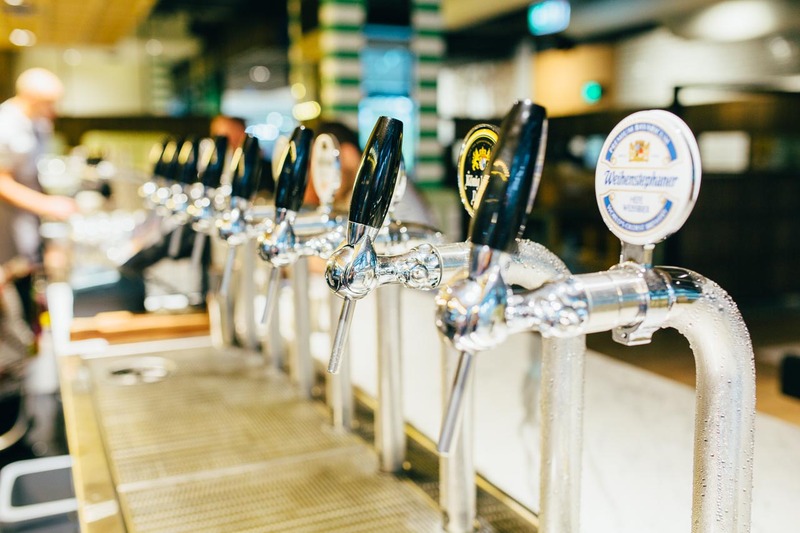 Our showpiece polychrome glazed brick bar features a bounteous 30 draught bier taps with a delectable rotation of the finest European biers – German, Austrian, Belgian and Czech biers from the most cherished and oldest breweries in the world plus a few Australian brews thrown in the mix! Our European Drinks Menu includes a veritable selection of German, Austrian, Alsace and New World Wines, Cocktails and Schnapps. 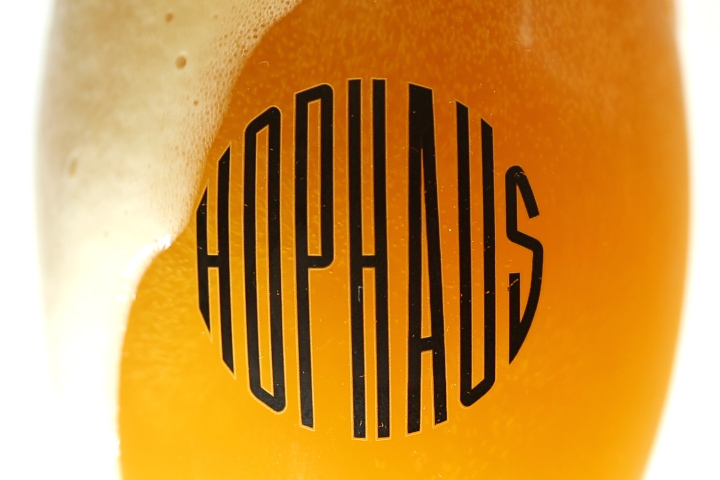 Ultimately, when it comes to bier and wine at Hophaus, we’re not about swilling and sniffing—we’re about drinking and enjoying (responsibly of course). A popular destination for after work drinks, casual dining and unique functions at an enviable riverside venue. And for those who can’t decide try our Tasting Paddles (choice of 4 current biers on tap to taste) $10 all day every day. Naturally cloudy with a vibrant colour and a strong foam head. Quite a distinctive ale with prominent lemon citrus taste whilst not being overtly bitter. Germany’s No 1 draught bier has been brewed since 1817. A full flavoured Pilsner style lager with a touch of malt flavour. It has an attractive aromatic hoppiness and a clean mellow sweetness. Our very own brewed German Style golden ale that is light straw in colour. Aromas of lemon and lime prelude a light, malty colour, finishing crisp and clean. A perfectly carbonated fruity flavour that is key in making the Heineken you know and love. Even better when it’s ice cold. A delicious dark wheat bier rich and smooth with a chocolatey taste and aroma. It owes its full-bodied flavour to the fine hops and dark malt used in its production. Known as ‘Budweiser’ in its mother tongue, this is a classically Czech Pilsner style. Light pale straw colour. Full flavoured and malty with a firm hoppy bitter finish from the influence of Saaz hops. A wonderfully creamy and tightly packed head, this wheat bier is refreshing, naturally cloudy with a rich yeasty taste. With aromas of floral hops, honey and malt, it proves to be a clear favourite for the lighter approach leaving a refreshing taste on the palate. A light golden coloured lager with a balanced, malty flavour which is easy to drink and has a clean finish. Germanys favourite Oktoberfest Beer. The perfect balance of a light taste of hops and a strong note of malt. This easy drinking crisp lager with low bitterness, light malt body and clean, dry finish is definitely a Haus favourite! Made with 100% pilsner malt and German perle hops – the key to this bier is to let the aroma and bitterness of the hops shine through. Using 100% freshly crushed Australian apples for a crisp character and lingering sweetness.